This issue sponsored by NCCE. Click HERE for the full-size image! 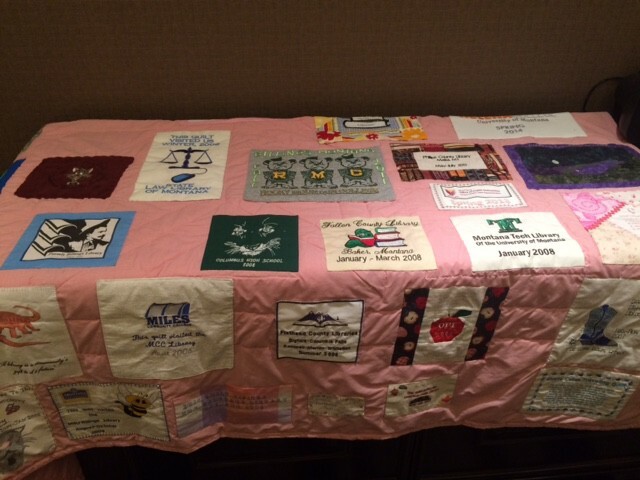 What did you most enjoy about this year’s MLA conference? "I most enjoyed seeing everyone at the conference. I love seeing fellow librarians and was especially pleased to see several of our retired colleagues such as Renee Goss, Dale Alger, Cherie Heser, and Bruce Newell. I love those people! 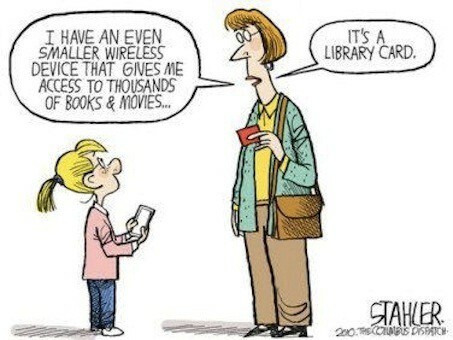 And librarians are just the coolest people. So much fun." Tell us something about the conference that interested or surprised you. 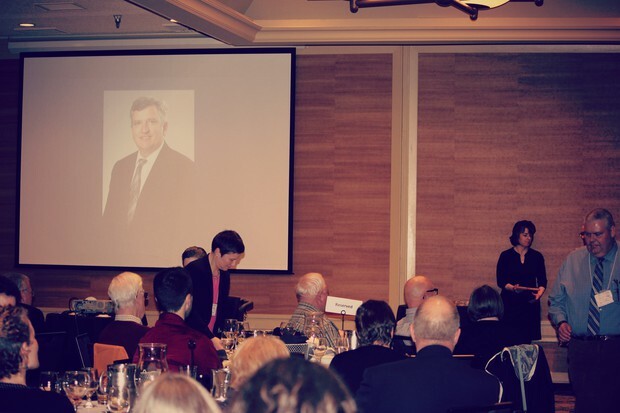 "Visiting with Keith McCafferty, our speaker for the author's luncheon, I was surprised to discover how down-to-earth and normal he was. He even had some legal background, which I was excited to hear about. He was a very nice man, and an entertaining speaker. Our paths would likely not have crossed but for MLA!" Please note, we have included many more responses to this survey below. Keep reading! 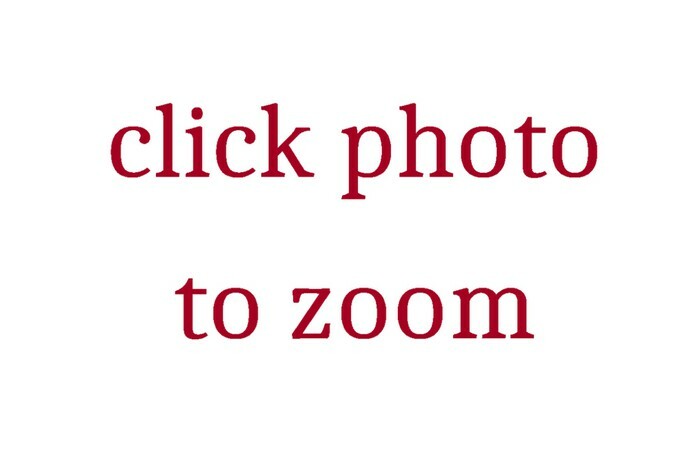 - Debbi Kramer: Shop AmazonSmile! - Angela Archuleta & Dianne Mattila: SLD's Bozeman Retreat Approaches! - Get to know some of our new Reps & Officers! 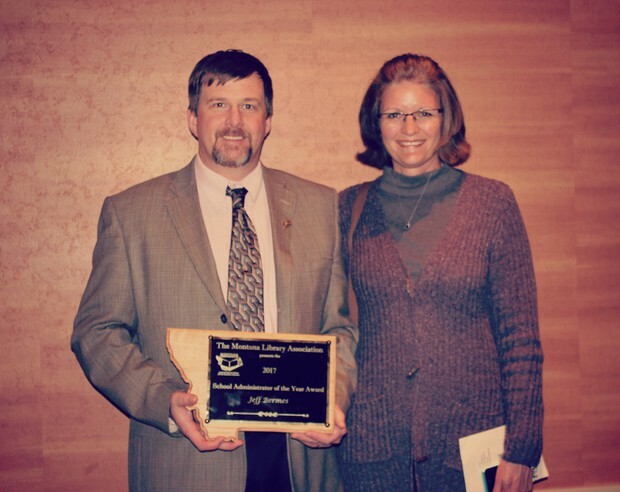 - Heather Dickerson: Montana Goes to Washington! - Some Kudos Are In Order! 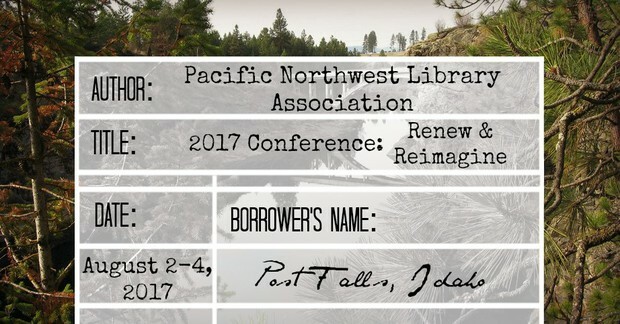 Greetings fellow Montana librarians. This is the final report of the 2017 Montana Legislative Session (Sort of). What a ride for Montana libraries. Truly, it isn’t even complete - though legislators left Helena more than a month ago we all await the arrival of final General Fund revenue projections sometime in August. Only then will we really know the outcome of our HB 261 State Aid for Libraries Bill. As you may recall from Wired-MT posts, HB 261 was amended by the Senate Finance Committee to include revenue “triggers” which, if not met, would make HB 261 funding in FY 2018 and FY 2019 void. Those triggers for the two years are: FY 2018 – General Fund Revenue for 2017 must be at least $2,213,000,000; and in FY 2019 revenue for 2018 must be at least $2,360,000,000. There is no way of knowing how close we will be at this point. The folks at the State Library will continue to monitor projections. It has been suggested by the Montana Association of Counties (MACo) that public libraries not put their per capita/per square mile State Aid Funding in their FY 2018 budget until more is known. And speaking of the State Library, Jennie Stapp and her staff had an even rougher legislative session. HB 2, the funding bill that covers state agencies, has similar revenue triggers but the consequences for the MSL are more dire. MSL would see at least 25% decreases in program funding. We should all send out good thoughts to Jennie and the staff of MSL over the next couple of months. I want to thank all of the great support Montana librarians showed during the legislative session. It is my sense that without the quick and definitive support for HB 261 when it mattered most, it would have failed to leave the Senate and died in committee. As it is, we may have a rough couple of years in 2018/2019, but the final four years of the statue will remain intact and fully funded. I was heartened throughout the session by the thoughtful questions and suggestions of my fellow MLA members and I was truly thankful for your constant contact with your elected officials on behalf of MLA and the State Library. Finally, on May 1 and 2, as Chair of the Government Affairs Committee, I had the great honor of attending National Library Legislative Day (NLLD) training In Washington D.C. The Montana contingent was seven-strong, including Jennie Stapp, our State Librarian; Bruce Newell, State Library Commission Chair; Bernadine Abbot Hodusky, retired Montana librarian; Kenning Arlitsch, Library Commissioner and dean of Montana State University (MSU) Renne Library; Anne Ewbank, Director, School Library Media Certificate Program at MSU; and Heather Dickerson, Teen Services Librarian at Lewis & Clark Library. On Monday May 1, at the Library Day Training we learned about the importance of making sure our US Congressmen from Montana understood LSTA funding and the impact it had on Montana libraries. 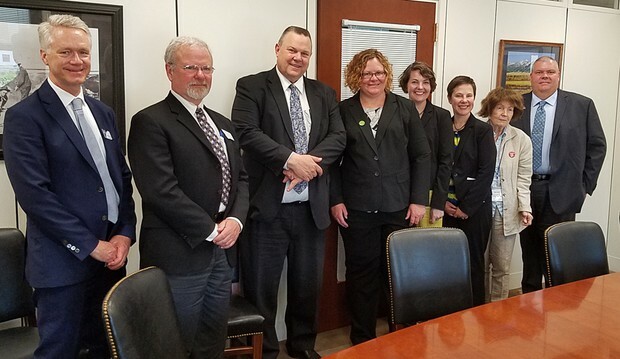 On Tuesday May 2 we took that information to Capitol Hill and met with staff from the vacant Montana Representative’s office and staff from Senator Steve Daine’s office. We also met directly with Senator Jon Tester and his staff. At each meeting, Heather Dickerson made a great pitch for LSTA funds based on her experience with using the State Library’s STEM activity kits, which include fun activities for young robot makers. Other members of the contingent added their stories of the way the State Library puts LSTA funds to great use for Montana’s libraries. All of the folks we met with were encouraging and pleased with library services in Montana. I am pleased to continue to serve MLA as the Chair of the Government Affairs Committee. If you have an interest in helping us plan for the next legislative session in 2019, please let me know. The committee also revised its documentation in the MLA Handbook to reflect changes and current practice. Those revisions were approved by the MLA Board at its April meeting and have been uploaded to the Handbook (http://mtlib.org/handbook/standing-committees/professional-development/). All of this was accomplished thanks to the work of committee members Kirsten Bryson, Great Falls College; Pam Carlton, Missoula Public Library; Jeannie Ferris, Whitehall Public Library; Hannah McKelvey, MSU-Bozeman; Diane Mattila, Billings Schools; and Laura Tretter, Montana Historical Society! 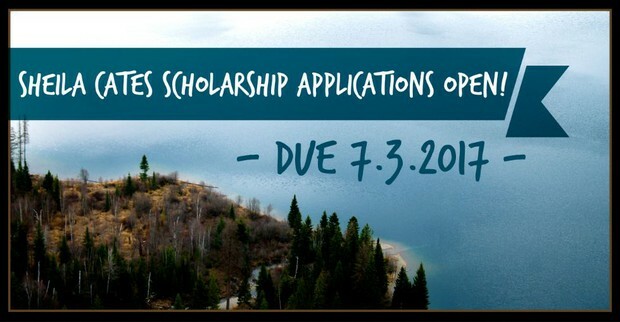 The next call for grants will be in the fall (October deadline). 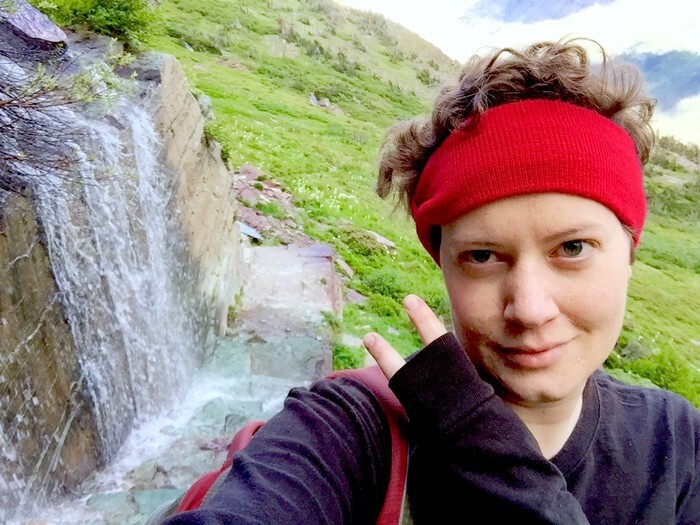 Please welcome new committee chair, Hannah McKelvey, who is the Electronic Resources & Discovery Services Librarian at MSU-Bozeman. Hannah will start her term of service on June 1. Remember to Support MLA Through AmazonSmile! As we dive into summer, please remember that you you have a chance to put your shopping monies to good use! 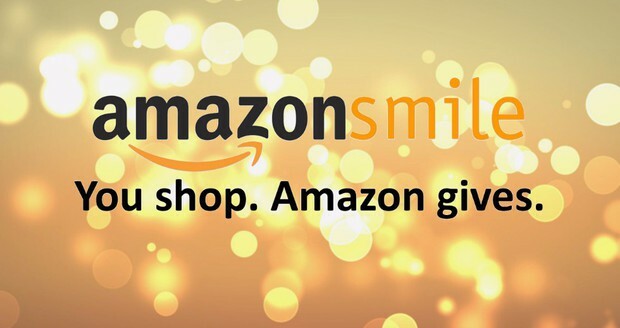 If you shop on Amazon through MLA's AmazonSmile starting page (here at smile.amazon.com/ch/81-0366433), Amazon will automatically donate 0.5% of the price of your eligible AmazonSmile purchases to the charitable organization of your choice (us, we hope!) and at no additional expense to you. AmazonSmile works year-round! if you have any questions, please sign in to org.amazon.com and click on the Help tab. Thank you! This sectional will provide APPS and Web-Sites Elementary Librarians and or teachers can use in a MakerSpace or learning space in their library or classrooms. The majority of the apps will be geared towards STEM and Language Arts/Reading for the elementary teacher/librarian. How to structure and implement a student librarian program in your library, including guidelines, assignments, and tips. This session will provide an update of the Montana Library Association's efforts in ensuring school libraries are included in the Montana ESSA Plan. Participants will brainstorm ways to get involved in this effort. 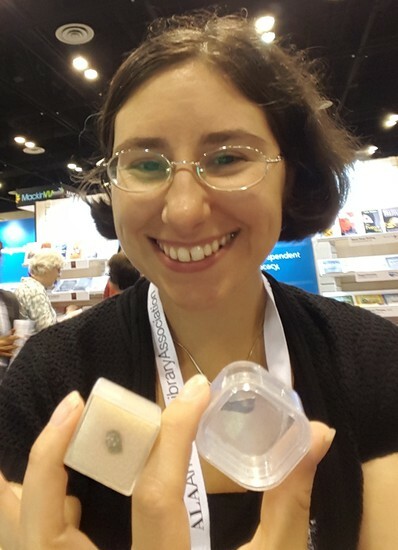 Bringing a wealth of knowledge to the table, Ruth will share resources and ideas how to incorporate primary resource materials into our work as librarians. Borrowed from a lesson I completed from my Montana State University Librarian Endorsement Program I will share my own ideas about this important topic- fun ideas to keep your sanity in this crazy world of library. 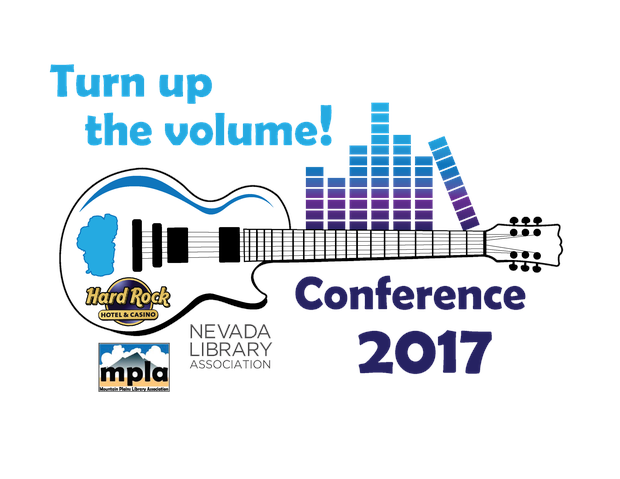 The joint conference of the Nevada Library Association and the Mountain Plains Library Association will be held October 16 - 18 at the Hard Rock Hotel & Casino in Stateline, Nevada at Lake Tahoe. From the sounds of sensory story time to the whir of a 3D printer, libraries are much more than quiet spaces; they are hubs of experience and knowledge creation that set the stage for vibrant communities. 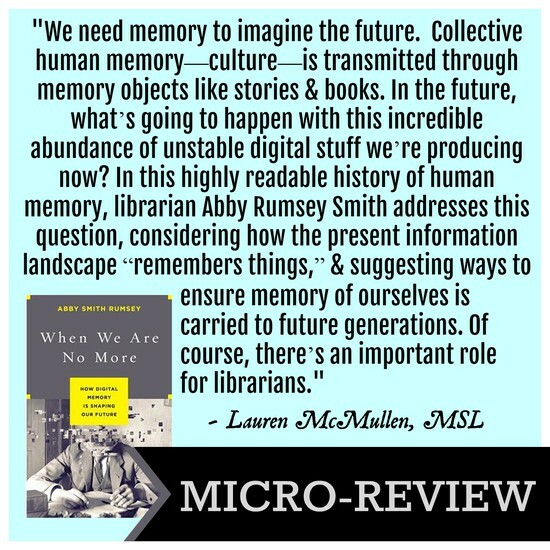 As librarians, it's time to turn up the volume on innovation as we seek inspiration to deliver new models of information literacy and lifelong education; on engagement with listeners, learners, and makers of all ages and from all backgrounds; on advocacy as we share impactful stories of how libraries empower. Call For Proposals is now open a https://goo.gl/forms/4FMghIvKwaKOYbYF3 and closes on May 31. Seeking proposals to support the theme of Turn Up the Volume! in the areas of innovation, advocacy, and engagement. PNLA Leadership Institute (LEADS) applications are being accepted until 5/30/2017! DATES: Sunday (evening) October 22nd through (noon) Friday, October 27th, 2017. FACILITATORS: Becky Schrieber & John Shannon, Schreiber Shannon Associates. We will review all applicant packets received by May 30th. Candidates will be notified of their status by June 30th. Applicants will be evaluated by the leadership institute committee consisting of the institute coordinator and PNLA board which includes state/provincial representatives to PNLA. The total invited applicants will be 32. Two alternates will also be selected to fill potential vacancies due to illness, other personal emergencies, or changes in circumstance. The 32 attendees will be joined by eight mentors, current library leaders from throughout the Pacific Northwest. Registration fees: $1000/person. Registration includes: lodging, meals, institute materials and activities. Attendees pay own transportation costs. Individual libraries, state/provincial libraries and state/provincial associations may be able to assist attendees with registration and/or transportation costs. It is up to the individual attendee to pursue these or other sources of financial assistance. Other cool events- Pow-wow, food trucks, pig roast, hiking/biking trails scenery, great dining, breweries – endless possibilities – please join us. LMS participants will explore strategies for outreach and advocacy in their roles as partners in the education process. 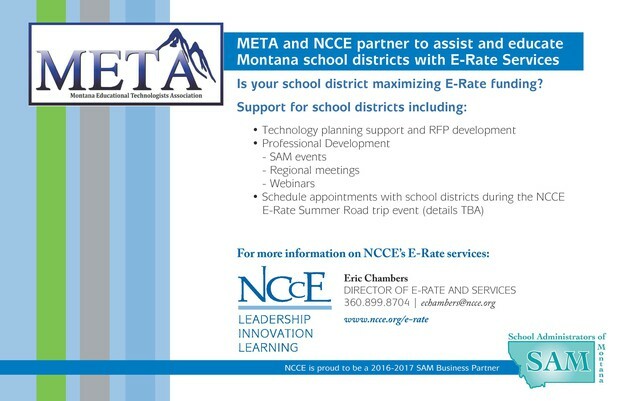 Participants will share best practices for advocating and collaborating in their schools, along with possible ideas for strategic statewide efforts for heightening the integral profile of LMS in schools across MT. Foster a love of reading in your students’ grades 3-8! Learn how you can develop a Battle of the Books program to encourage and recognize students who enjoy reading, broaden reading interests, increase reading comprehension and promote academic excellence in an exciting quiz show format. Statewide Battles are our goal! Billings Public Library is bringing fun TECH! TECH, which can inspire STEAM ideas. Ideas about how public libraries and schools can work jointly in creating connected learning opportunities for students. Through a case study of the creation of a makerspace in their middle school, the presenters will show how makerspaces can engage students in design thinking across the STEAM curriculum and transform a school library into a more integral part of the school curriculum and culture. Let's collaborate so students get the information literacy skills they need throughout their academic careers (K-college) and beyond! 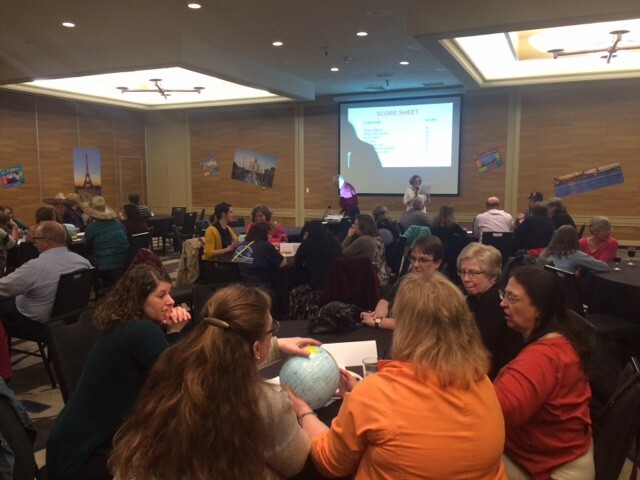 The Montana Information Literacy Alliance (MILA), a new Montana Library Association interest group, wants to connect librarians to share the many ways we all teach information literacy. Join us as we share the new interactive online map detailing the history of book challenges in Montana! We’ll share some of the more interesting challenges as well as broader intellectual freedom implications. Participants will learn about the software used and discuss how it could be applied in their classrooms. The School Library eBook Consortia business meeting is designed to determine collection management policies, selection and weeding goals, communication protocol, to share concerns and answer questions. School libraries who have an interest in joining the consortia are welcome to take part and learn about the process for joining. In 1974, the co-creator of the world's most popular superhero died poor, unknown, and uncredited. In 2015, his legacy was saved…thanks to a nonfiction picture book. Here's the moving and unprecedented backstory. It vividly shows the power of children's literature—and any one passionate person—to change the world. Get a basic overview of Creative Commons licensed material, how to cite it, and how students can use it (instead of copyrighted material) in combination with Canva to can create infographics, posters, and more. All subject areas welcome. Bring your device for practice! Grades 6-12. 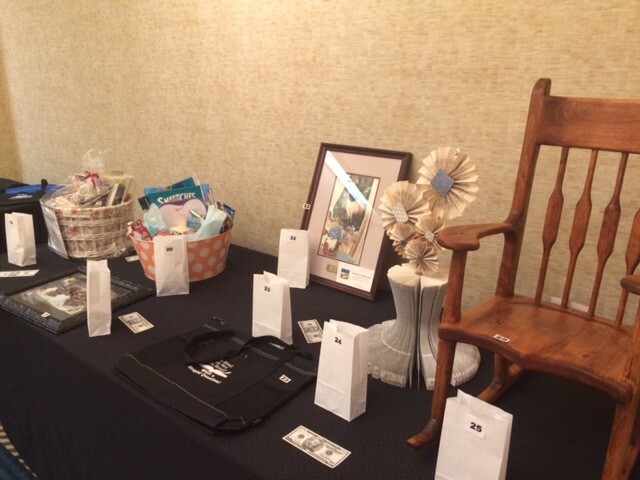 Between the Cates Silent Auction and the Cates Event $4,151.91 was raised to fund scholarships for Montana library students! This could not have been accomplished without your assistance! 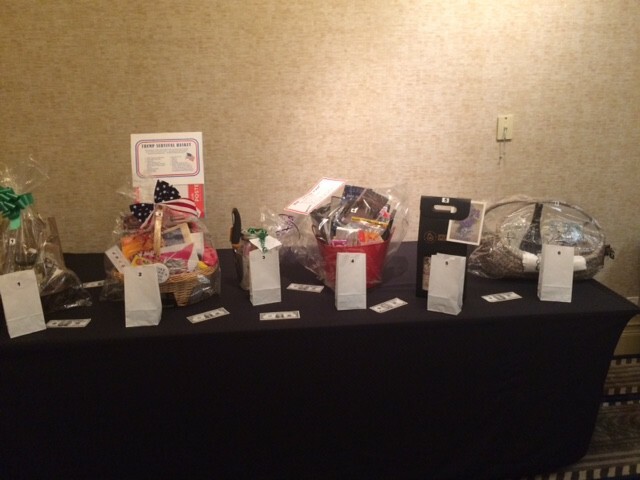 Thank you to all who donated time, funds, and terrific basket items. 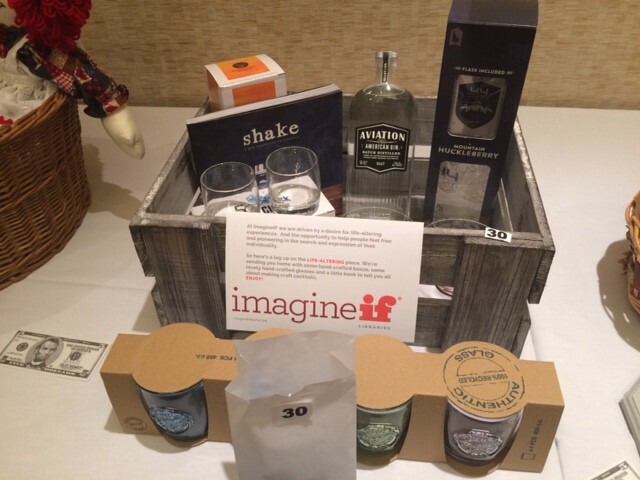 And thank you to all who bid at the auction. Roberta was the first of 109 people to buy tickets for silent auction items this year! (She is pictured with committee member Cherie Heser). 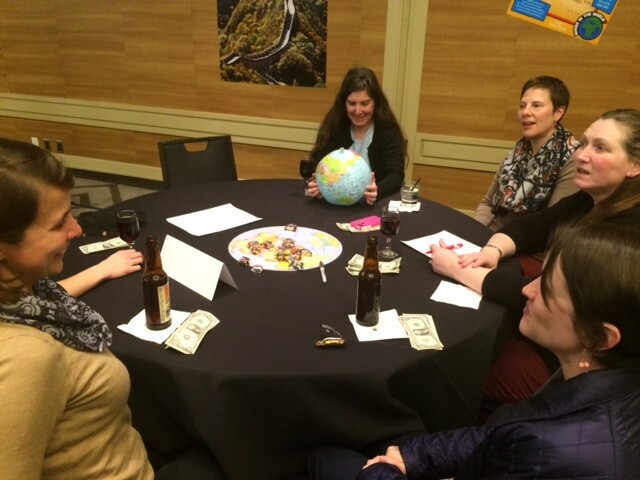 Every year the Cates Committee comes up with a new event to engage conference attendees and raise scholarship funds. Events have included everything from sumo wrestling to a murder mystery, and this year's event was a geography bee. What will they come up with next?! 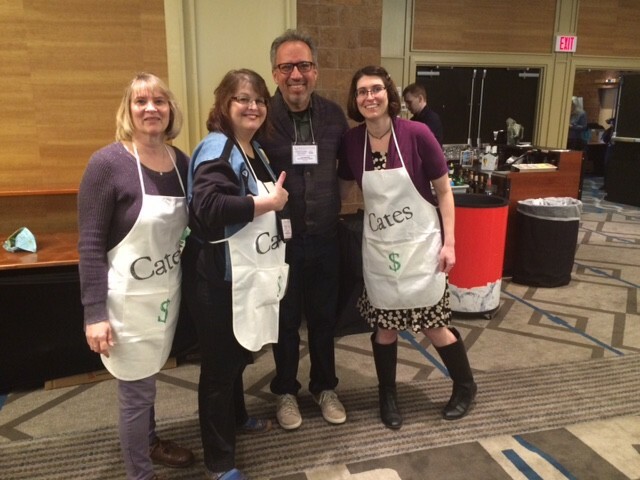 Look at those smiles... this could be you next year, consider volunteering at a Cates Event! 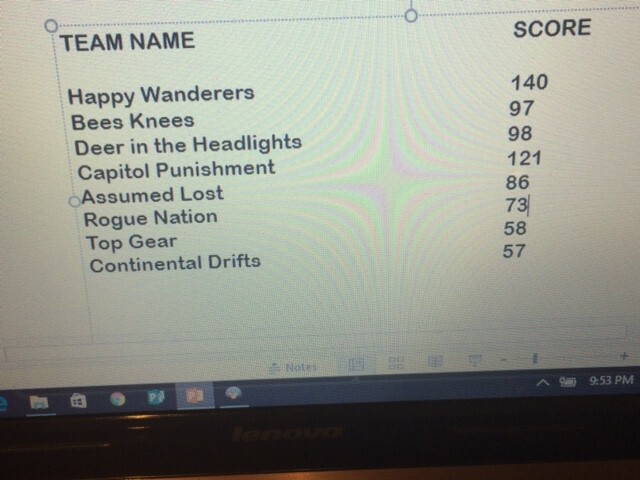 Team 'Happy Wanderers' reign supreme! Due to a scheduling mishap, the Montana Book Award Committee did not hold its usual panel discussion during the 2017 annual conference. We’re sorry we missed you! Not to worry, though - the committee members have reviewed each of the winning and nominated titles for your reading pleasure. Please follow this link to enjoy! “Libraries Transform” was this year's National Library Week (April 9-15) theme. 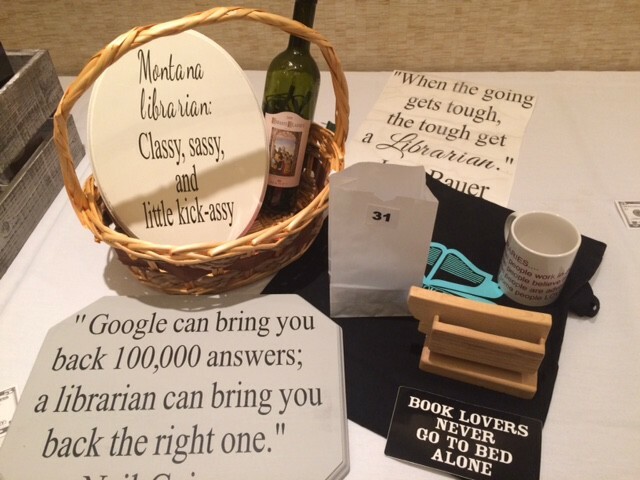 The Montana Library Association celebrated individuals who create the kind of libraries that do transform lives and communities during the annual MLA conference. 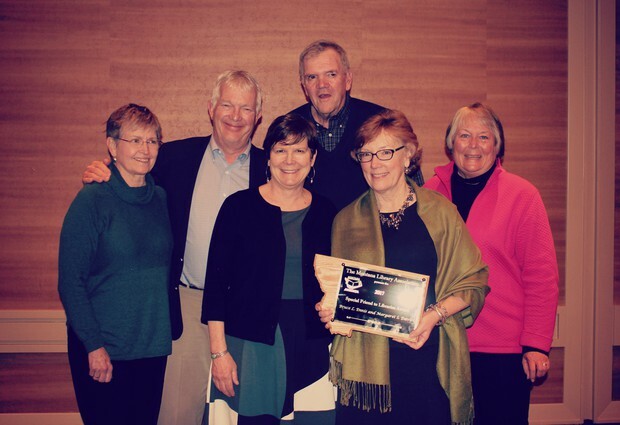 The award for Honorary Life Membership was given to Marilyn Trosper, director of the North Lake County Public Library District in Polson. In her letter of nomination, Abbi Dooley, Assistant Director of the NLCPLD, spoke about the impact the library, that Marilyn and the people of North Lake County built, had on her childhood. She said, “I believe she [Marilyn] is one of the incredibly important individuals who has contributed so much to the advancement and esteem of librarianship in Polson, the state of Montana, and beyond.” Montana’s library community agreed giving Marilyn two standing ovations during this year’s awards ceremony. 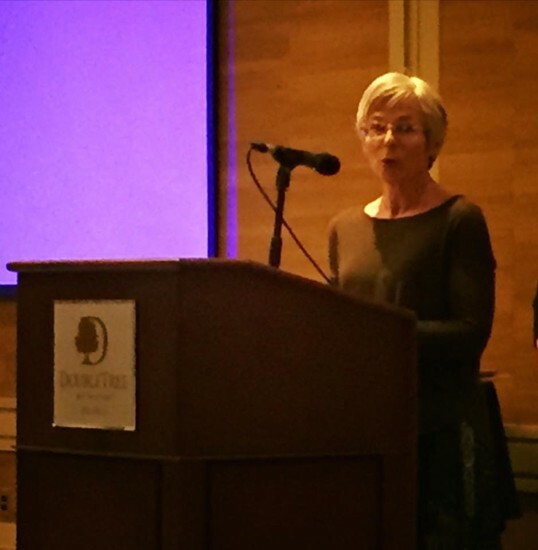 Sheila Cates Librarian of the Year Award was awarded to Paulette K. Parpart, Cataloger Missoula Public Library. 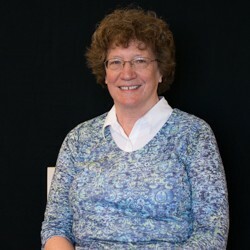 In her letter of support, Marilyn Trosper, Director of the North Lake County Public Library District, said, “Paulette’s dedication, knowledge and consummate level of detail are highly respected among colleagues and she is, without question, THE ‘go to’ person in the state for help with cataloging. She is also known as the ‘Genealogy Guru’ for advancing the level of genealogical resources across the state. 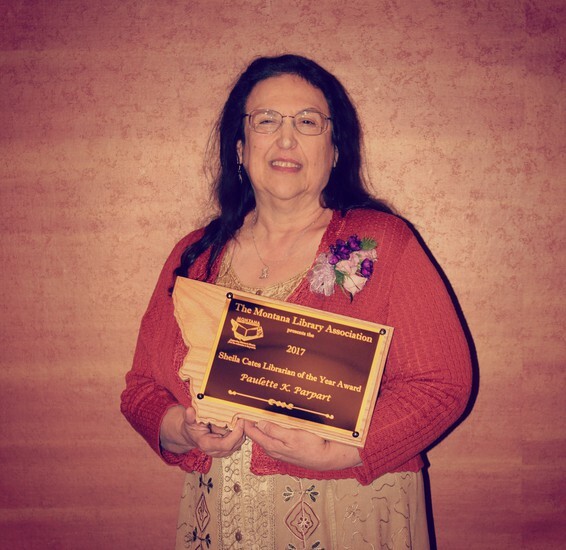 She sees the big picture and impact of statewide library services.” Through her extensive work in organizing, coordinating, and building shared resources for both the Montana Shared Catalog and the Montana genealogical community as well as creating a culture where relationships across the state flourish, Paulette received much appreciation and two standing ovations at the MLA Awards Ceremony. 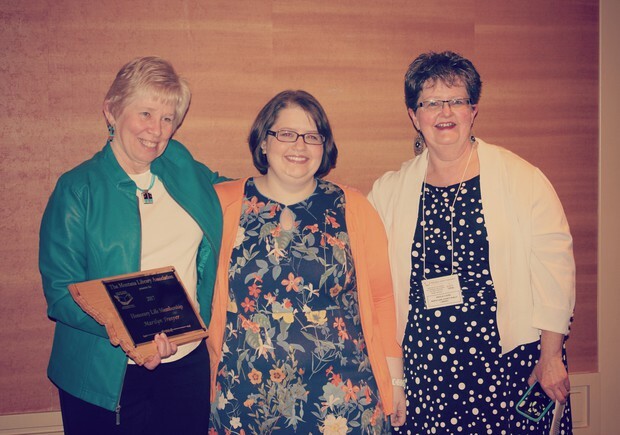 The Montana Library Association extends its deepest gratitude to all those who make Montana’s libraries ever more relevant in transforming the future of the communities they serve. Every June 1st marks a rotation in MLA leadership. This year we have a great crop of member volunteers (some brand new, some new-ish) taking the helm of various committees, divisions and interest groups. This is where we get to introduce some of the people dedicated to serving you and furthering the mission of MLA. Q. What do you enjoy most about being a librarian? A. Purchasing and sharing books with students and teacher. Q. What do you wish more people knew about your library or the work you do? A. I wish they knew how much time and effort it takes to build a library of excellence to include purchasing, weeding, shelving, displays- you all get the idea. Q. What do you enjoy when you're not at the library? A. Spending time with my husband and dog, travelling, hiking, all outdoor activities, and of course, reading. Q. What is something people may find surprising or unusual about you? A. I am a Lieutenant Colonel in the Montana Army National Guard. Q. Describe something in your library career that you are proud of accomplishing. A. Building relations with students, staff, administrators, parent teacher organizations, public libraries and the community. Q. Tell us a bit about your role in MLA or the Division, Committee or Interest Group you represent. A. I was elected in March as the co-chair. 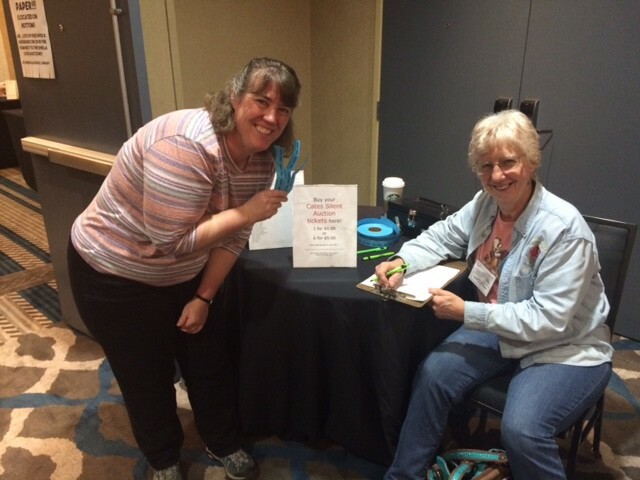 I am currently working on planning a summer retreat for librarians in Bozeman and the MEA-MFT conference with my co-chair, Dianne Mattila, who has been incredibly supportive. A. Working on solving challenging problems. I also enjoy learning about obscure topics that I wouldn't have otherwise encountered. A. We have great student workers! A. I'm a big fan of board games. I especially like to play 2-player games. A. I love horror movies, even really bad ones. A. Serving as a library volunteer. A. This is my second year as Director-at-Large West, and I'm looking forward to collaborating with new Director-at-Large East @GavinWoltjer this year on advocacy. Our roles focus on supporting MLA members, both new and current. A. Helping communities realize their full potential through collaboration, innovation, and leadership. A. I enjoy exercising, reading, spending time with my family, and volunteering in the community. A. I am 100% Dutch. A. Through the efforts of my team at Oklahoma Wesleyan University, we were able to create an archives, preserve local history, and share our product with numerous communities throughout Oklahoma. A. I am advocate for MLA and share the many opportunities that MLA offers to other librarians. A. The opportunity to share my love of learning and self-discovery. A. That while, yes, most librarians like to read, it's not a requirement nor a job duty! A. Antiquing, spending time outdoors, and learning. A. I was a very wild teenager and young adult. A. I am proud of becoming a director. A. I am the new chair-elect for ASLD and I have no idea what that entails! Also, at the recent conference some colleagues and I got the Local History & Genealogy interest group up and running! A. So many things! I think mostly I love the connection that I have with the community - through resources, information, the arts and technology. A. I wish more folks knew how friendly we are! And that we love collaborating with local groups to make our community thrive. A. Hiking, mountain biking and reading on the beach. A. I have lived in 7 states and now I may have to try countries. A. Developing two seed libraries that have have been wildly successful. A. I am the new PLD Chair and I am so new at it that I am looking forward to learning all about the division as well as MLA. A. Helping the people we serve. A. The more things change the more they stay the same. A. Spending time with my family, hiking, gardening, and reading. A. I always root for the underdog. A. During the 35 years of my library career, I have found a healthy balance between my professional and personal life. A. Debbi Kramer asked me to represent the Public Library Division on the 2018 Conference Steering Committee. A. I like interacting with the children and knowing that I am making a positive affect in their lives. A. The work of a Youth Services Librarian is building the foundation for our children's lifelong learning. A. I enjoy getting outside and enjoying Montana. I am a bit of a bad weather wimp though. I also enjoy gardening, cross-stitch, and other crafts. A. I have lived in Africa for 1.5 years and eaten termites, zebra and goat intestines. A. I am very proud of the changes and improvements we have made in the YS Department at MPL. We've created a fantastic early literacy area, a space and collection just for Tweens and started a collaboration with spectrUM Discovery Area. SpectrUM provides a popup museum for our kids area. We have had 3 different popups since the collaboration began. A. The Youth Services Interest group is made up of high energy librarians who want to give the best to Montana’s kids. We've started a Facebook page so we can stay better connected and improve the programs, collections and other services we provide. A. The work is constantly changing and there are always new things to learn. A. As one of the statewide consulting librarians I get to visit public libraries in lots of different communities - it's fun to see the similarities and differences around the state. A. Reading (because we know there is never a chance to do that at work!). Knitting while listening to audiobooks. Traveling because there is so much to explore and discover. A. Early on I worked in an elementary school where the librarian hadn't been doing much - there was a room full of unprocessed books. In my time there I was able to get all those added to the collection, reorganized the library and offered regular weekly library instruction to many classes. The teachers were thrilled! A. It's great to be involved in MLA - I've been FOCUS editor and MPLA rep. Now I'm part of the conference planning committee, looking forward to help organize a fabulous conference! A. Being a librarian is a constant learning experience. Every day I learn something new and build on my skills to help others. There is nothing as satisfying as helping a patron with a difficult reference questions and nothing as frustrating as not finding the answer. There are some questions I have worked on, off and on, for over a year and long after the patron has moved on. A. We have an amazing source of American History through our Federal Depository collection which has materials dating back to 1793. It is fascinating collection which continues to grow with current and digital materials. A. Not at the library? What is that? Just kidding. I enjoy gardening, reading medical histories, science fiction, binging period dramas on Netflix and sewing. A. My sewing often involves creating cosplay costumes. I am a bit of a geek. A. ALA published my first book in 2016. It is called Digitizing Your Collection and there are two contributed chapters by my colleagues. It helped to justify my undergrad degree in writing and has led to a second, edited volume on government information librarianship that should come out later this year. A. I will be acting as secretary for the Academic and Special Library Division. 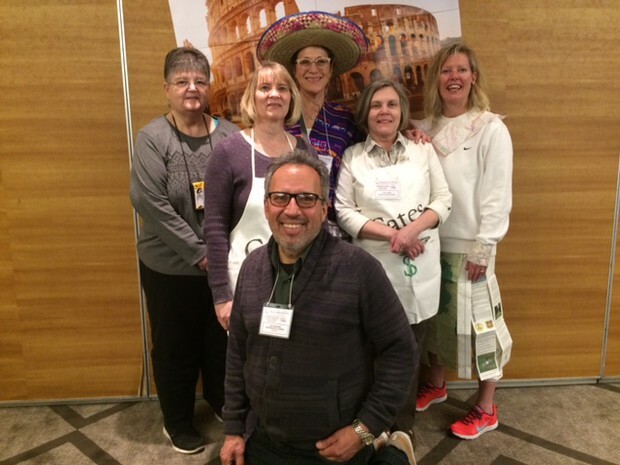 This is a fun group that works with the Public Library Division each year on a wonderful retreat that is often held at Chico Hot Springs. Montana Goes to Washington: Leveraging story for maximum impact! The Montana delegation to National Library Legislative day was faced with preparing for an interesting mix of meetings: a staffer for a vacant House seat, staffers for our staunchly Republican Senator Steve Daines, and an appointment with Senator Tester himself, who demonstrates faithful library support. 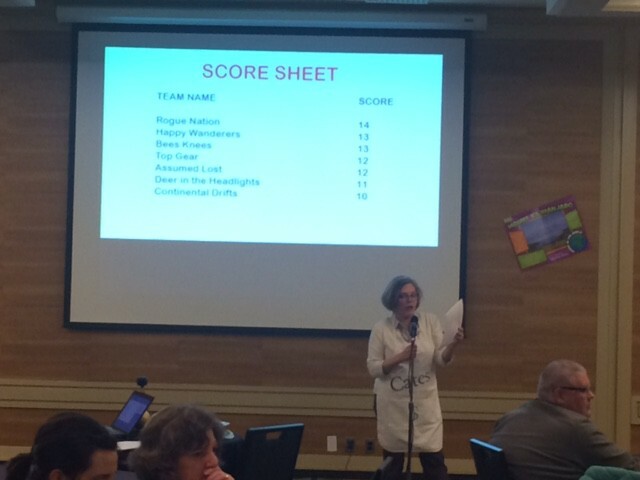 State Librarian Jennie Stapp prepared our delegation with facts, figures, and solid strategy. We needed something else, though. Something personal: a story. Our advocacy training on May 1, hosted by ALA’s Washington Office, focused on how to leverage the personal story to demonstrate funding impacts and make our “ask” more personal. Our trainers and speakers suggested aligning the work we do with the areas our elected officials focus on for the most impact. As I walked from our training to the reception at the Hart Senate building, parts and pieces of the examples I’d been mulling over all day finally coalesced in my head: I’d tell the story of twin sisters, Bridget and Fiona, who discovered robotics at the library as high school freshmen when they used Montana State Library Maker materials, purchased with LSTA/IMLS funds. Now, as juniors, they’re competing in national robotics competitions. Fiona and Bridget will graduate in 2018 and plan to stay in state for college and study engineering. 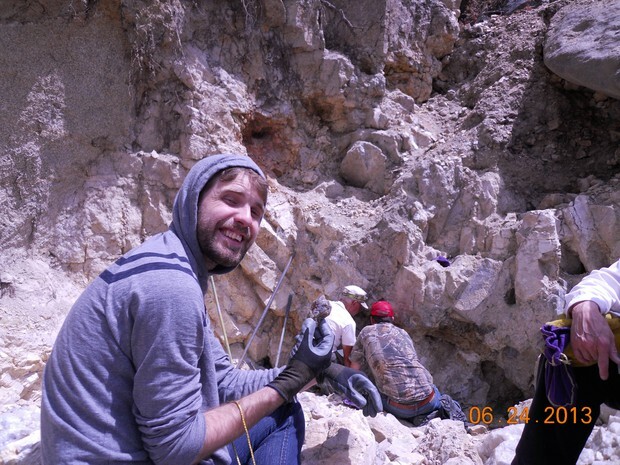 I knew this story would have maximum impact for us because our hardest to reach officials are deadly interested in STEM and economic growth through tech-based industries in the state of Montana. I put together a simple one page document outlining key points in this story, and illustrated it with “then” and “now” photographs of these diehard library users. (I asked permission first!) I kept my points digestible and related to our ask: Library uses LSTA/IMLS funds to purchase STEM materials; young people engage at local library; young people attend college in state and contribute to state economy. In each office, I elaborated on my bullet points to talk about how Bridget and Fiona developed their interest in science, engineering, and high tech careers because of opportunities afforded them by LSTA funded library materials. I also emphasized that young people around our state use these exact same resources, demonstrating that LSTA funding has a HUGE impact on Montana’s many rural libraries, most of whom couldn’t afford to purchase these materials. 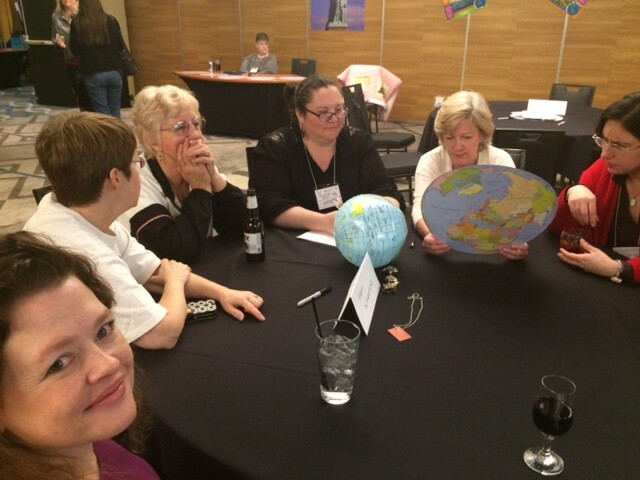 This story - and much of what the rest of our delegation had to say - connected library resources with community building. That’s who we are, and it’s what we do! We’re in the business of connecting people and stories. Staying open to the beautiful moments that happen in our libraries - the moments that are valuable because they provide so much for our library users - gives us an opportunity to cache that story and share it at a moment in time when we can use it to illustrate our ask. Attending National Library Legislative Day with the MLA delegation was an honor and a privilege. The trip also planted “call to action” seeds: each of us have stories to share about the impact of our libraries. They’re critical to share, both at the state level and at the national level. I encourage each of you to take a few moments to reflect and think about the challenges facing your library. Then, think about the wonderful things that happen in your library. You have stories to share that demonstrate your library’s impact. Start making a list now! Ask your library users to start telling their stories, too. You can help them shape their stories into something that will catch the attention of policymakers. As you make your list, think about your example. Find the narrative arc. List out people who are affected by this story. Why are you sharing this example? Do you have an ask? Send those stories to your library board, to your city/county governor. 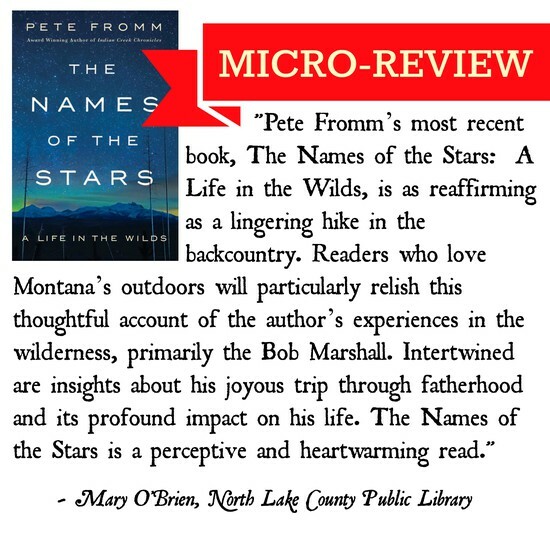 Share them with MLA, or with the Montana State Library. Invite Senators Tester and Daines to visit your library the next time they’re home for a Congressional Recess! 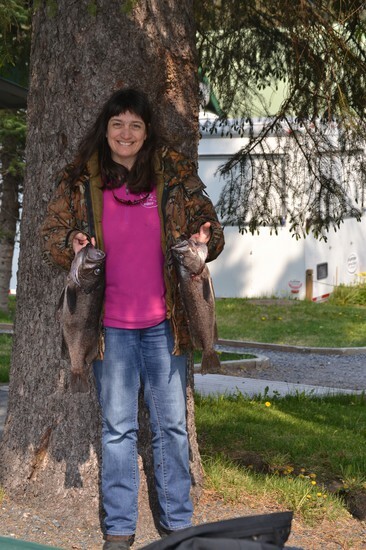 I met Jane in the fall of 2003, when I came out to Montana to interview for the Flathead County director position. It was actually her husband, Bob who was on the library board at that time, and Bob and others who interviewed me that afternoon. It was at dinner that I was introduced to Jane, and she proceeded to ask me every question that employers are not allowed to ask. She gleaned my age, discovered I had a dog but no children, the make, model and year of the car I was driving, who I’d be voting for in the next election, the names of all my professors at the University of Montana (for all I know she called them all to do some background checking), and the names of my relatives still living across this vast state of Montana from Billings to Whitefish. And at that point, Bob reached across the table to shake my hand and said, “Glad to meet you, cousin!” Because Jane had determined that my mom’s sister’s husband was a cousin of Bob’s mother’s brother’s wife! That dinner sealed the deal. I’m sure I did well in the interview with the Board, but I’m certain I rocked the interview with Jane. Because Jane always gave people the opportunity to tell a good story. I know that she did that for many of you in libraries all across the state. She was genuinely interested in each and every one of you and listened to your stories, prompted by her sincere and probing questions. My first week on the job, Jane whisked me off to noon rotary and was probably disappointed when after discussing and deconstructing the entire meeting on the way back to the library, I told her it just wasn’t my scene. Did she express any disappointment? No, she pivoted! And immediately got me involved in AAUW instead. It is there that I met the most influential, experienced, warm and wonderful group of women I’ll ever met. 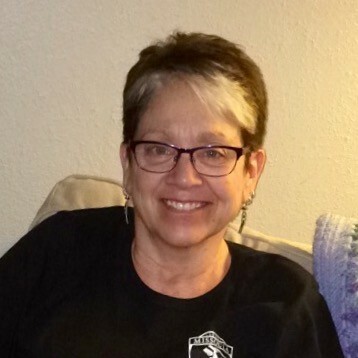 I am so grateful to Jane and so fortunate for her setting me up in this community, introducing me to literally everyone she knew and supporting me from the very start. And this is just my story, you’d hear the same thing from hundreds of women from every corner of Flathead County. 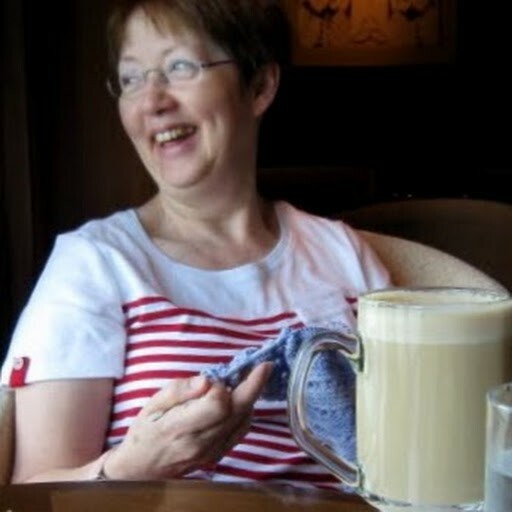 As many of you know, Jane has been on the Board of Trustees of our Library for the past 9 years and at our first meeting without her we were all bereft. We actually felt lost without her there, to guide us, to challenge us, and to wow us with her really long and somewhat puzzling metaphors that always seemed to come together and make a great deal of sense in the end. Her position on the Board will be a hard one to fill—made even harder by the fact that Jane is not here to engineer her replacement. I’m sure she’d insist on someone who had deep experience in board service, who was passionate about libraries, a woman and a member of AAUW. I’ve heard many people say that with Jane’s untimely passing, “it’s the end of an era.” And I heartily disagree. Jane never completed anything with a full stop; it was always an ellipse—dot, dot, dot. Jane was a visionary. She could see the future and she laid out a map to get there. This always involved shepherding people together, connecting them to one another, a great deal of delegation, and then her retreat. Jane would move on to something else and those projects would flourish and evolve on the strength of those she had inspired to dream with her. Though she is no longer physically with us, Jane will always live on in those of us who loved her and in the work that we do--inspired by this amazing woman to make the world a better, more inclusive place for generations to come. Join Bozeman in Launching its New Bookmobile! (All are invited to join our Bookmobile’s public launch on Wednesday, June 21st, 5-7 p.m.
During April, the Lewis & Clark Library completed the Solar Array installation project that began in 2015. The solar array will provide clean, renewable energy for the Library for many years. This project is one of the Library’s Green Energy initiatives, which included replacing the old roof and the addition of solar energy. The project has received its net-metering certification from Northwestern Energy has been turned on, and is producing energy for the Library. A public reception and official dedication ceremony was held to celebrate the success of the Solar Project on Wednesday, April 12th. Lewis & Clark Library Foundation President, Sonia Gavin; Library Director John Finn; representatives from the Sleeping Giant Citizens Council; a representative of Northwestern Energy; as well as the Contractor Bozeman Green Build, and local elected officials were on hand to make remarks and officially dedicate the solar project. The Library lobby will house an educational kiosk displaying in real-time, what kind of energy savings and carbon reduction the solar array is providing. 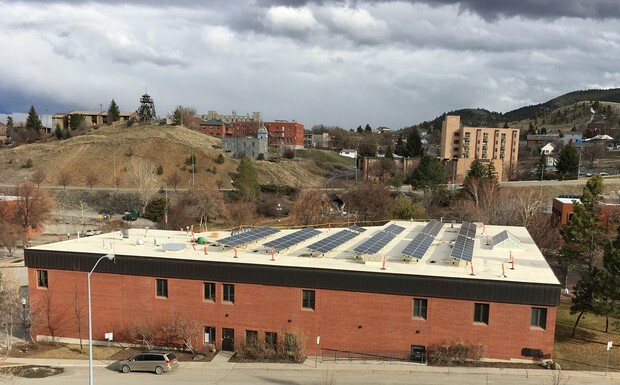 The project began in 2015 when the Sleeping Giant Citizens Council, a grassroots community organization working to protect land, water, and the community of Helena, approached the Library about becoming a demonstration project on the benefits of public solar energy. The partnership was timely because the Library was starting a major replacement of the old roof with a new, more energy efficient roof. During the roof construction, contractors installed the supports for the eventual 50k-W solar array project. Through the Sleeping Giant Citizens Council, the first-ever Helena Sun Run was held in the fall of 2015 with runners raising more than $12,000 towards the solar project. In the summer of 2016, Northwestern Energy granted the Library up to $90,000 in funds to complete the project; then later in the summer of 2016 a private donation in the amount of $33,000 made certain the project would happen without spending any Library, or public funds, on the project. 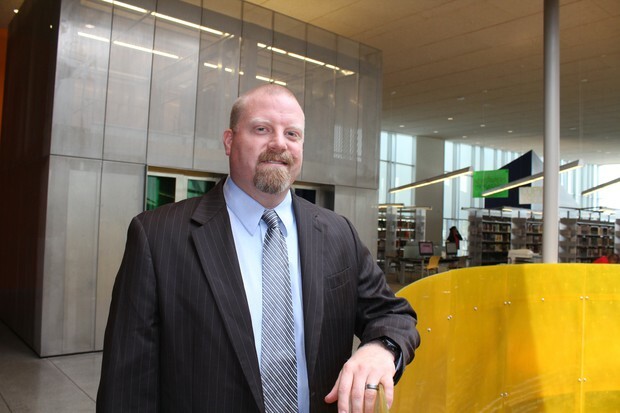 The Montana State University - Billings Library has new leadership! 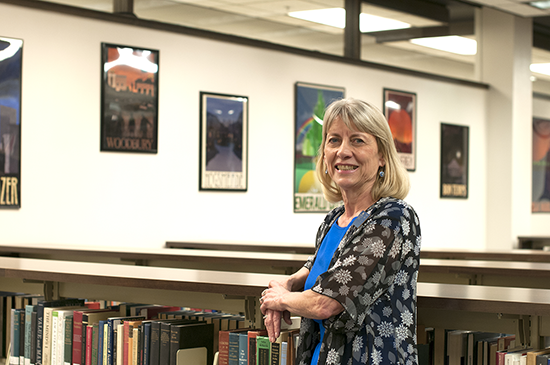 Darlene Hert, an MSUB alum, transitioned into the role in late April. For the full writeup, view the university's article on the subject here. 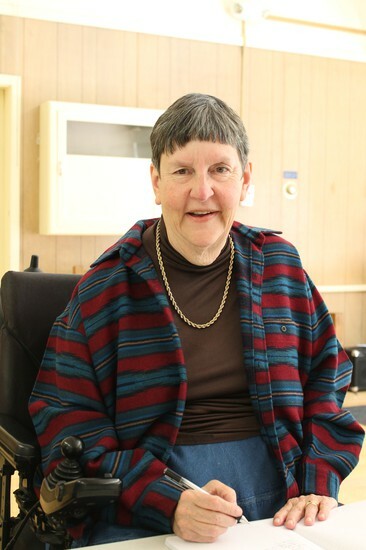 When I called Julia Sweeney, Life Enrichment Director at The Springs assisted living facility in Whitefish, about having Toddler Storytime there, she was enthusiastic and we quickly set a date. I’d long wanted to do this. Our Preschool storytime overflowed with toddlers who couldn’t sit still for longer books, who needed variety and especially more “wiggle” time. Also, I was eager to bring the fun of Storytime outside the library. I was thinking of the local mall when The Springs came to mind. Pairing storytimes or preschools with eldercare facilities isn’t a new idea. A recent article in the Atlantic Monthly cited the “numerous studies” that link such social interaction with decreased loneliness, delayed mental decline, lower blood pressure, and reduced risk of disease and death in elders. One study stated, “Socializing across generations has also been shown to increase the amount of smiling and conversation among older adults.” That would be our goal. Since our first Toddler Storytimes, Julia and I have figured out a couple of things: since our goal (besides a fun storytime focused on early literacy) is interaction between residents and families, a small venue is better. Storytime is also improved by delaying the start to give time for casual chatting among participants. 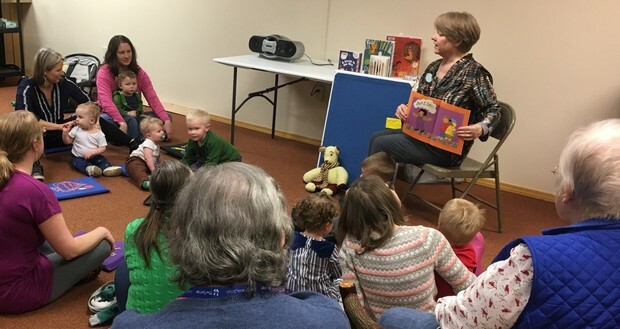 Caregivers/parents familiar with me and Whitefish Library Storytimes were instrumental in this. They already knew each other, and so were comfortable introducing themselves and their toddlers to folks seated and waiting for stories to begin. Snacks? Yes! During Storytime? No! Save them for the end. It adds another opportunity for residents and visitors to interact. Feedback has been enthusiastic, enough that participants have asked for Toddler Storytime to happen every week. More available staff time is the issue there; for now monthly will have to do. And besides, now we have to start thinking about the babies! Submissions Open for the August Issue! REMINDER: The submission deadline for the August newsletter = July 21st. 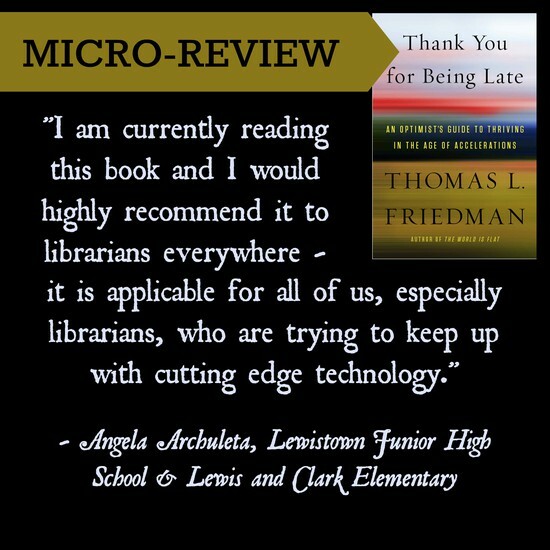 Please email your library news, micro-reviews & photos (with captions) to mlaFOCUSeditor@gmail.com Thank You! Some Kudos Are in Order! Kudos also to the Cates Scholarship Committee and all those who supported this year’s Cates events through generous donations and participation! All said $4,151.91 was raised. 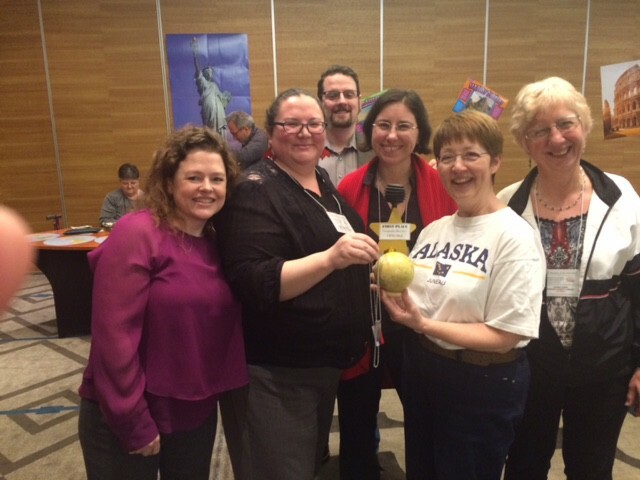 Congratulations are also in order for Team Happy Wanderers, aka: Anne Kish, Pam Henley, Aaron LaFromboise, Cheri Heser, Suzanne Caro and Suzanne's husband who walked away with the Cates Geography Bee trophy. Well, it's June. And for us, your editors, June offers some bittersweet prospects. 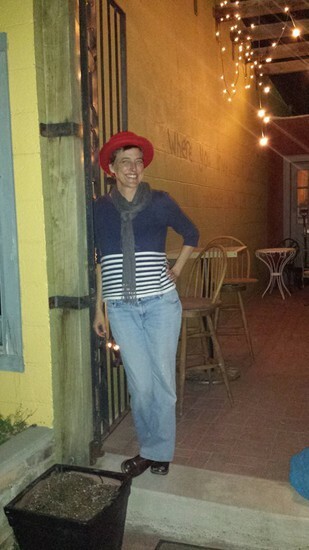 Caroline Campbell, co-editor extraordinaire, will be departing for parts unknown. (Don't worry, she's not actually moving, just leaving me to make a mess of things here at the FOCUS.) She has developed and enriched our content, revolutionized and streamlined our behind-the-scenes busywork, made our transition to a digital platform effortless, and set us on a path to sustainability. Without her, the FOCUS will forge ahead—because she has made it possible to do so. Thank you, Caroline! 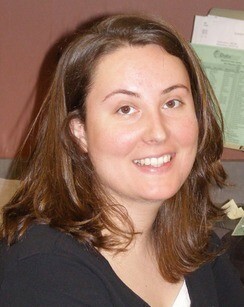 June also marks the accession of Alice Kestler to Caroline's vacated post as co-editor. Alice works at the Great Falls Public Library as a Library Specialist. She finished her MLIS degree this last spring, and tells me she is "good with deadlines" and even likes them, which I think everyone can agree bodes very well for our relationship indeed. 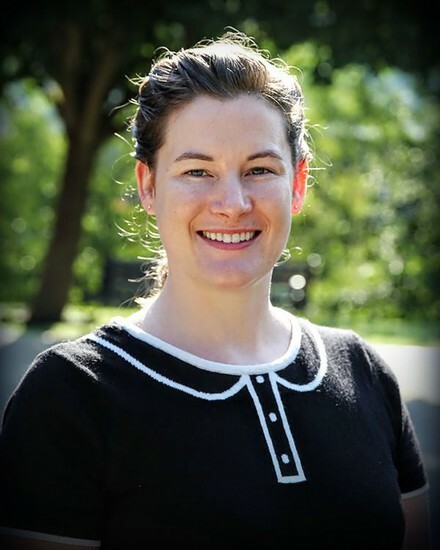 You might remember her from our December 2016 issue, which features a piece by her on the Great Fall Public Library Seed Exchange Project ... of which she is the Project Director! We can conclude that she's got a green thumb and a passion for public service, and I'm over the moon that we get to nerd out together for the next year. Please look for her words in your inboxes over the coming months and welcome her as she takes on this new challenge!